Proekspert » Should Robots Dance? How anthropological methods can answer tough questions about product development. Futurists dream of smart machines, robots, and systems that are seamlessly part of our everyday lives. The challenges of a machine fitting in, however, are not only technological — it’s an anthropological challenge! “You have to understand people to build the next generation of technology,” says Genevieve Bell, Intel’s former head of User Experience, and an anthropologist herself. It’s hard to argue with that. Every company desires to develop solutions that make people smile and think This is so well-thought through, it feels natural! But in order to hit the user experience jackpot, two special skills are required in addition to technological mastery — design thinking and anthropology. Anthropology is a social science discipline that focuses on studying how people live and understanding behavior on their terms. Applied anthropology enlightens companies about the context in which customers might use a new product and the meaning that product might hold in their lives. In Silicon Valley, technology companies started to hire anthropologists in the early 1990s in order to learn about people, their challenges, aspirations, and the problems that technology was trying to address. At first, anthropological methods were used to learn about new markets. For example, Intel had only produced products for office use, and they wondered what kind of products they might develop for home use. Later on, when Intel changed its technology philosophy to a consumer-led approach (their lingo: “putting customer happiness as the starting point of product development process”), anthropological methods became important strategic tools. “It takes a very different skill set, a unique domain experience, to sense the market and identify the emerging signals, and what is going to matter to the end user,” said the GM of Intel’s data center group. 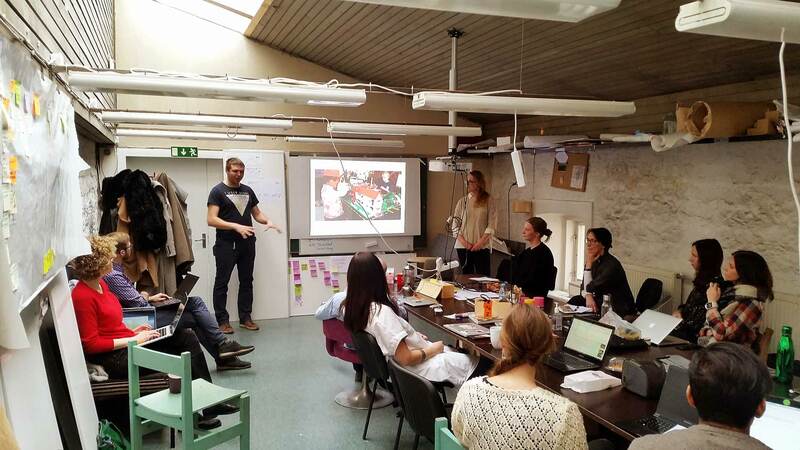 Last week, Proekspert’s design team visited an Interaction Design master students’ anthropology course taught by Helleka Koppel and Marko Ubu from the Centre for Applied Anthropology of Estonia. Proekspert designers Taavi Aher and Maarja Mõtus met with students to share insight on how product development and anthropology fit together. Students presented case studies on how anthropological methods are used for decision making in companies such as Nike, Lego, Savioke, and Google. The students made the case that anthropological methods can help you if you’re facing questions like How will your robot be accepted by end-users? How can we create comfortable sportswear for Muslim women? or What are the cultural barriers to entering the Mexican food market? Our favorite case study was about user research in a one-week design sprint by Savioke Labs, which illustrates how applied anthropology can be used in short iteration and delivery cycles. Savioke Labs makes a delivery robot for hotels. Company founders saw the hotel business as a good market for automated delivery, since the environment is unchanging and there is a the persistent problem of a reception desk flooded by requests in peak hours. Technology was not the company’s challenge. Rather, the founders feared that hotel customers might not like their robot. They wanted to find out how to design a robot so it wouldn’t be creepy. And how much personality should a robot have? The development team was hesitant. Should the robot exhibit emotional behavior such as blinking its eyes? Should it express happiness with dance moves? The user study was done in a real hotel environment and it consisted of a short interview and a test, where customers ordered by phone what they needed, a toothbrush for example. Test customers, one by one, opened their hotel room doors and they were not puzzled. They actually loved the prototype. People wanted to receive a second delivery, just so they could see it again. The team even observed users taking selfies with the robot. The Savioke team got the user feedback they needed and concluded that they should not be hesitant about giving the robot some character. They realized it might even boost customer satisfaction. Maarja Mõtus is a UX Designer and User Researcher. Proekspert’s expertise is in smart devices and robotics, and we invite discussion about issues connected to the future development of these fields. Please subscribe to our newsletter, and feel free to get in touch.